Occupational therapy makes available services that aid in patient’s recovery. Recuperation means something more as we provide not just assistance but full support for you. Our occupational therapists help patients in aspects like gaining muscle control, gait training, physical mobility, balance training, strength enhancement, flexibility training, patient health assessment, sensory functions restoration, re-education of basic living skills, emergency responses, body work-outs, and effective energy management. Aside from these, Home Care Experts, Inc. has programs that will help you face the world again. Training in different occupational fields can be incorporated through the occupational therapy program. We have access to alternative learning institutions and we are part of a network of professionals working hand in hand towards people’s improvement. 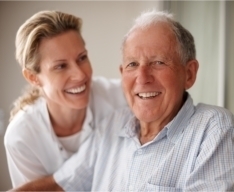 Rely on the experts.Home Care Experts, Inc. leads you to better and faster recuperation. You can consult our medical professionals anytime. Call us at (586) 751-2775 or (877) 751-2776 for more information.